My family’s favorite ice tea. In South Carolina the temperature reached 101 yesterday. When it gets that hot, there is not much you want to do other then relax with a glass of iced tea. 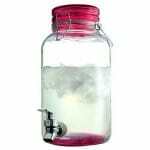 In the South, sweet tea is a staple in any refrigerator, and you wouldn’t be a good hostess if you didn’t have a fresh pitcher waiting to be served. I didn’t move to the South knowing how to make ice tea. If I wanted to feel like a true southern lady I had to learn quickly. I am sure I do not make tea like a true southerner, but my version of iced tea is my family’s favorite! I feel the real honey we use from our bees and freshly squeezed lemon juice makes this recipe so good! I also think iced tea tastes better if you make it in a glass pitcher. This is the one I use I love it! I cool my tea to room temperature before refrigerating to keep it from becoming cloudy. Bring to boil six cups of water. Add honey and boiling water to a gallon size pitcher. Stir until honey is all dissolved. Add tea bags and let steep for 30 minutes. Remove tea bags and stir in lemon juice. Fill pitcher to the top with cold water and chill. Serve over ice and add a wedge of lemon to the glass. Your tea sounds so refreshing. I covet your bees too! I am hoping to begin next year doing a little beekeeping. One more thing to add for more sustainability. I love your blog and could spend hours meandering. I am going to feature it and your facebook page tomorrow on my facebook page. I think my readers will love it! The honey lemon tea I make my family a couple times a week is always a big hit. We love our bees and I look forward to pulling honey so much I cannot imagine not having them. Thank you so much for the feature please message me on Facebook when you do and I will be more than happy to return the favor! Just wanted to let you know your feature is up and on my page. Hope it brings you a bit of new traffic. Thanks again. 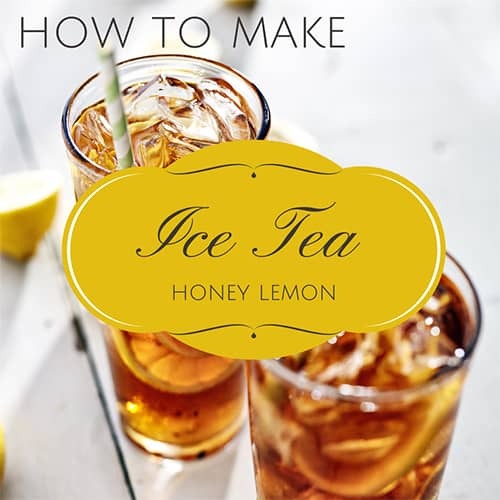 I bet you will enjoy it…honey and lemon brings on a whole new flavor to tea! Looks so refreshing! We do a similar method but with green tea 😉 I will have to try yours! 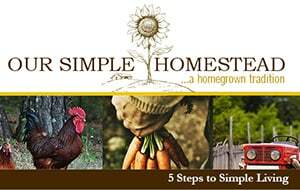 Thanks for sharing on the Art of Home-Making Mondays this week! My family loves the honey in our tea and I have made it with green tea as well! Nothing better than sweet tea in the south. I love how you made simple syrup with honey. And you were right. If you move to the south, you gotta learn to make sweet tea. A staple. I am featuring your post on my page for the Ultimate Facebook Party on 8/12. Thanks for the feature Tammy! We have grown to love our sweet tea! We go through a lot of ice tea at my house – even though we are in the North. 🙂 I’m not wild about lemon in my tea but I do enjoy using different flavor tea bags for variety. My favorite way to make it is in a glass gallon jar sitting in the sun. I make sun tea a lot! I even had made this honey tea without the lemon and it is just as good! Thanks for sharing your post at the Say G’Day Saturday linky party. I just pinned your post to the Say G’day Saturday Board.